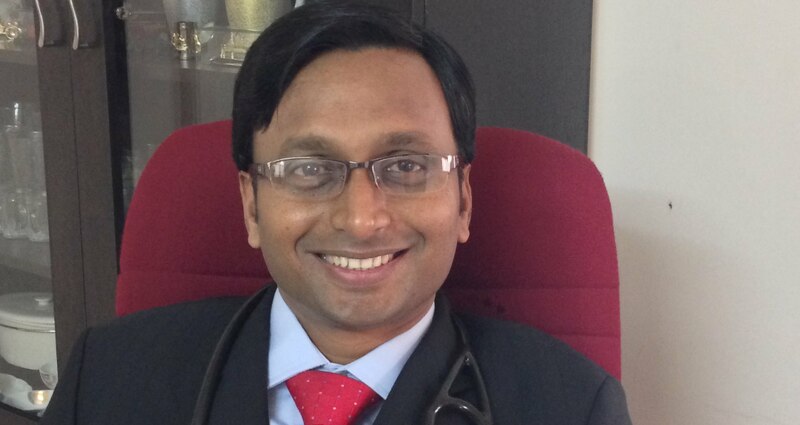 Dr Senthil Kumar Rajasekaran is Assistant Professor - Diabetes and Endocrinology at PSG Hospitals, Coimbatore. Prior to his current position, he was Consultant Endocrinology and Diabetes at the Oxford Centre for Diabetes, Endocrinology and Metabolism (OCDEM), Churchill Hospital, Oxford, UK. Dr. Senthil Kumar worked at several hospitals in the United Kingdom for about a decade starting 2001, and served in various capacities in the areas of General Medicine, Endocrinology and Diabetes. He has a wide range of experience in the field of Endocrinology, such as diagnosis and management of patients with Pituitary tumours, including Prolactinoma, Cushing’s disease, Acromegaly and non functioning tumours; investigation and management of primary and secondary gonadal failure; management of syndromes of multiple Endocrine Neoplasia; evaluation and management of Hypercalcaemia, PCOS, thyroid disorders and Addison’s disease. In the area of Diabetes care, Dr. Senthil Kumar is experienced in managing Type 1 and Type 2 Diabetes patients; has expertise in basic foot care and systematic assessment of the lower limb; manages Ischemic and Neuropathic ulceration; advises patients advice on recognition, avoidance and self treatment of Hypoglycaemia; and, manages Diabetic Ketoacidosis and Hyperosmolar Non-Ketotic coma. Dr. Senthil Kumar is also adept in the management of Gestational Diabetes and Diabetes in pregnancy. UK National Guidelines for the management of Pituitary apoplexy. Senthil Rajasekaran, Mark Vanderpump, Stephanie Baldeweg, John A.H. Wass. Clinical Endocrinology (oxf). 2011 Jan; 74(1), pp. 9-20. Validity of the new Pituitary apoplexy guideline group score in the management of patients with classical pituitary apoplexy – a retrospective study of 54 patients. Senthil Rajasekaran, N Reddy, T Han, Mark Vanderpump, Stephanie Baldeweg & John Wass. Endocrine Abstracts. (2010) 21 P284. Onset of Type 1 Diabetes Mellitus during pegylated – interferon Alfa & Ribavirin therapy for Chronic Hepatits C virus infection. Raghini R, Krishnaveni J, Senthilkumar R. Journal of Clinical and Experimental Hepatology. March 2011;Vol. 2, Issue 1. Factors associated with the interest for life style behaviour modification among non–diabetic adults. A C Mathew, S Jose, N Jacob, P Rathan, K Suvetha, Senthil Kumar. Journal of Diabetology. October 2013; 3:3. An objective scoring tool in the management of patients with pituitary apoplexy. Narendra Reddy, Senthil Rajasekaran, Thang S Han, Aikaterini Theodoraki, Will Drake, Mark Vanderpump, Stephanie Baldeweg, John A H Wass. Clinical Endocrinology. November 2011; Vol. 75, Issue 5, pp. 723. Isolated ACTH deficiency presenting twenty two years after radiotherapy for nasopharyngeal carcinoma. Senthil Rajasekaran, Jimmy Voon Chong. Endocrine Abstracts. 2007; 13 pp. 18. UK Pituitary Apoplexy Guidelines. Royal College of Physicians. London, Feb 2010. Pituitary Apoplexy – An Overview. 11th Clinicopathological Conference on Pituitary Disease. Royal College of Physicians. London, Feb 2009. Cyclical Cushing’s Syndrome. 11th Clinicopathological Conference on Pituitary Disease. Royal College of Physicians. London, Feb 2009. Poster Presentation: Hypoparathyroidism and Coeliac disease - A Challenging Combination. Clinical Cases meeting - Society of Endocrinology / Royal Society of Medicine. London, Feb 2009. Adrenocortical Carcinoma with Extension into Inferior Vena Cava and Right Atrium - Report of 3 Cases. Society for Endocrinology / Midlands Endocrine Club meeting. Birmingham, Dec 2008. Poster Presentation: Isolated ACTH Deficiency – Case Report. British Endocrine Society Meeting. Birmingham, Mar 2007. Insulinoma. Academic Half-Day Meeting, Wexham Park Hospital. Oct 2006. Renovascular Hypertension. Medical Unit Meeting, Wexham Park Hospital. Aug 2006. Attended: International Diabetes Federation Meeting. Melbourne, Dec 2013. Attended: ENDO 2013 - Annual Endocrine Meet. San Fransisco, Jun 2013. Attended: CODHy - World Congress on Diabetes, Obesity & Hypertension. Barcelona, Nov 2012. Attended: Insulin Pump Course (YDF). Sunningdale, UK. May 2010. Attended: British Endocrine Society Meeting. Manchester, Mar 2010. Attended: Management Course (NESC). Oxford, Nov 2009. Attended: ALS – Resuscitation Council UK. Oxford, Jun 2009. Attended: Royal College of Physicians – Regional Update. Oxford, Jun 2009. Attended: 11th Clinicopathological Conference on Pituitary Disease. Royal College of Physicians. London, Feb 2009. Attended: Clinical Cases Meeting – Society for Endocrinology. London, Feb 2009. Attended: Clinical Cases Meeting – Society for Endocrinology. Birmingham, Dec 2008. Attended: Diabetes Update for Registrars – YDF/OCDEM. Oct 2008. Attended: Management and Professional Development Skills in Endocrine Care. Bristol, Oct 2008. Attended: Diabetes Update. Stratford upon Avon. Apr 2008. Attended: Diabetes UK Annual Conference. Glasgow, Mar 2008. Attended: ABCD Annual Meeting. London, Nov 2007. Attended: British Endocrine Society Meeting. Birmingham, Mar 2007. Attended: Oxford Advanced Endocrinology Seminar. Oxford, Sep 2006. Attended: Acute Medicine – Hammersmith Medicine Course. Manchester, May 2006. Attended: Diabetes UK Annual Conference. Birmingham, Mar 2006. Teaching Experience: Clinical case discussion and bedside teaching for final year medical students. Teaching Experience: Examiner in MRCP Paces Course. Royal Berkshire Hospital, Reading. May 2009 & 2010. Teaching Experience: Examiner in MRCP Paces Course. Royal Berkshire Hospital, Reading. Jun 2008. Teaching Experience: Examiner in MRCP Paces Course. Milton Keynes General Hospital. Sep 2007. © 2018, Dr. R Senthil Kumar.